Knowing how to deal a game of Texas Hold’em poker is a valuable skill. Play in enough home games and you’ll eventually find yourself in a situation where poker dealer duties rotate around the table with the dealer button. You’ll definitely want to know what you’re doing when it comes your turn. It’s also good to know what to look for as you watch others deal poker. Go to any poker room and you’ll see the standard practice of dealers fanning out the entire deck on the table. This ensures that all 52 cards are in the deck, and you’ll want to do the same whenever a new deck is introduced into the game. It’s also a good idea to inspect the deck in this fashion at regular intervals throughout the session. Shuffling technique takes a bit of practice, but whether by hand or automatic shuffler, you should shuffle the deck twice when introducing a new deck into the game. Before dealing, cut the cards and shuffle a third time. In Texas Hold’em (and most other forms of poker), a dealer button, followed by mandatory bets known as the small blind and big blind, rotate around the table during play. 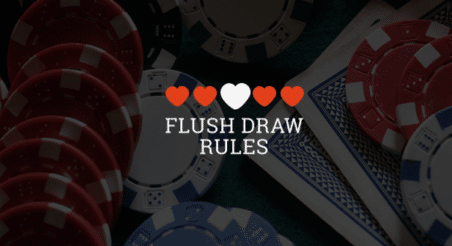 Check out this article about the betting rules of Texas Hold’em to become more familiar with the way the blinds work, and visit the FAQ at the end of this guide to learn how to determine who gets the button at the start of a new session. Once the blinds have been posted, each player is dealt one card at a time, beginning with the player directly clockwise of the dealer button. This process continues until each player at the table has exactly two cards. When all players have two cards, the preflop betting round begins. The player clockwise of the big blind begins the round with the option to call (also known as “limping”, or matching the amount of the big blind), raise (bet at least 2x the amount of the big blind), or fold, “mucking” their hand by pushing their cards into the middle. If you’re playing No Limit Texas Hold’em, players can raise to any amount, up to their entire stack, at any time. The pile of mucked cards stays in the middle of the table throughout each hand, preferably under the hand in which the dealer is holding the deck (known as the “stub”). Any chips that are bet also go to the middle of the table, in the center/left or center/right of the table, depending on which hand the dealer is holding the deck with. The chips are always placed opposite of the muck pile. Each player at the table gets the option to call, raise or fold, and in the preflop round the player on the big blind is the last to act. If one or more players in front of (before) the big blind raises, the big blind must match the amount of that raise, or fold their hand. The big blind can check if there are only calls in front, putting no more money into the pot and proceeding to the next betting round. The big blind wins the pot automatically if every other player in front of them folds. Once every player has either matched the amount of the biggest raise, or folded, all players still in the hand advance to the next betting round, known as the “flop”. To deal the flop, the dealer “burns” the top card on the deck and puts it face down on the table, out of play. The top three cards on the remaining deck are then placed face up in the middle of the table. The players that advanced to the flop then commence another betting round. On the flop and all subsequent betting rounds, the small blind is the first to act with the choice of call/raise/fold. If the small blind folded preflop, the next active player clockwise to the small blind starts the betting round. The player on the dealer button is always last to act in each of the final three betting rounds, unless that player raises, and in that case the other players still in the hand have the option to call the raise, or re-raise. All chips bet in this round continue to accumulate in the middle of the table, and when the highest raise has been matched, or all players fold to a raise, the next betting round begins. After the flop betting round is closed, the dealer burns another card, then puts the next card face up, directly to the right of the flop. This card is known as the “turn” (or Fourth Street), and the betting process from the flop then repeats itself after this card is dealt. After the river betting round is complete, players show their cards (called the showdown) and the dealer announces the winner, based on poker hand rankings. The player who was last to bet or raise in the river betting round traditionally is the first to show their cards, and the showdown proceeds clockwise after that. Players showing down after the first player have the option to muck without showing their hands and are immediately ineligible to win the pot. If everyone checks in the final betting round, the player clockwise of the dealer button has to showdown first. The dealer announces the winning hand, leaving the board cards and the winning hand face up while pushing the pot to the winner. When you’re dealing Texas Hold’em, it’s important to take your time with this step and make sure it’s completely clear who won the hand, and what their final hand strength is. After the winner rakes in the pot, the cards are shuffled, the blinds and dealer button move one spot clockwise, and we start a new hand! In the event of two or more players holding the winning hand, the pot is split into equal amounts. This pot splitting is known as a “chop”. What happens if a dealt card is accidentally exposed face up? If a hole card turns face up during the deal, that card will become the first burn card. When this happens, the dealer continues dealing normally, then takes the exposed card and places it face up on the top of the deck. The player that was dealt the exposed card is then dealt a second card and play resumes normally. This same rule is applied for any card that’s accidentally exposed during play. If two or more cards are accidentally exposed, the game is ruled a “misdeal” and the hand doesn’t count, with all chips being returned to their original owners. What does the “dealer button” mean? In a home game or any game without a designated, all-time dealer, the dealer button determines whose turn it is to deal. In casino games, the dealer button is just a marker that always sits counterclockwise to the small blind, and in all betting rounds after preflop, the player on the dealer button is last to act. Who gets the button at the start of a new session? When starting a poker session, deal every player one cards (after you’ve shuffled and cut the deck). The player with the highest ranking card gets to start on the button. In the event of two or more players having the same high cards, use the suits as a tiebreaker. The suits are ranked: spades, hearts, diamonds, clubs (from highest to lowest). So for example, you deal one card to every player at the table, and two of them get an ace. One has the A♦, and the other has the A♠. The player with the A♠ gets the button, as the spade is the higher ranking suit than the diamond.